Taken properly, your vacation can increase your brain power. That's what science says. 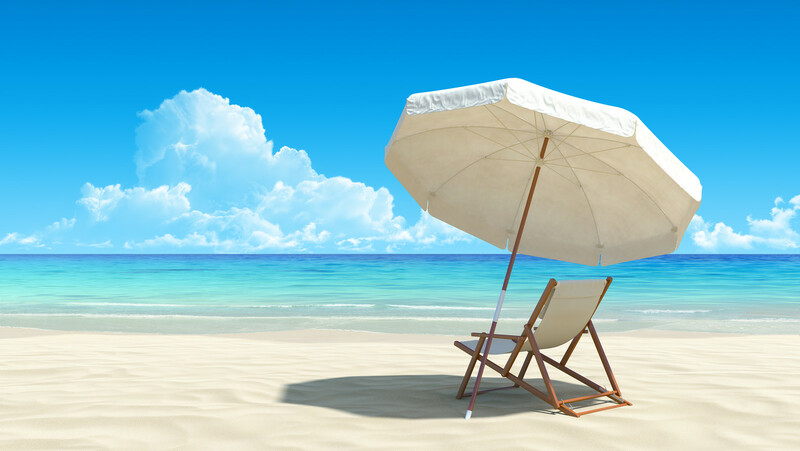 A study conducted by the Laboratory for Integrative Neuroscience at the National Institutes of Health (NIH) suggests that a vacation is critical to restoring higher-brain function that shows signs of failing because of prolonged exposure to stress. A vacation can get your brain humming again if you take it properly, which sadly few of do. An article in the New York Times reported the account of a Manhattan publicist taking her first official vacation in four years. "As soon as her plane landed," the article reported, "she checked her phone for work messages. Upon arriving at her hotel, the first thing she did was locate the business center." Then she spent much of the first two days in her room sulking over weather conditions. She didn't stop checking her email and phone messages for the rest of her time on the trip. This is the new normal for vacations. Eighty-two percent of us stay connected to the office while on vacation. And it gets worse. Some time ago, I took a vacation on the Monterey Peninsula and the first day went down to the dunes just above the beach and looked out over the magnificent scenery. I quickly noticed a number of adult vacationers looking down at their smartphones, not at the sea and sky, while around them, kids were pecking away at handheld devices instead of building sand castles. This is not giving the brain the break it requires to recover from how hard it was pushed last year. Some of the reasons we don't take a real vacation is because we are afraid that our workload will grow exponentially while we're away, or that some ambitious understudy will dazzle the boss in our absence and steal our job. It takes a real commitment to your own well-being to let go of those fears and wake up to the research that encourages us to leave the job behind for a spell. If you do, the evidence says you'll return to work with a brand new brain generating the cerebral power to produce your best year ever. So, here's some tips on how to approach your vacation. 1. Before you leave for vacation, make the goal of your vacation to succeed at extending love, feeling at peace, and experiencing joy. All three are good medicine for the brain. Be certain to make a plan with an assistant or trusted colleague at work for contacting you in the case of something urgent. Then set up your email account with an auto-responder and create email and voice messages that refer people to your office contact for urgent issues. 2. Once you are on vacation, commit to using your smartphone for local calls only, not routine calls to the office. Use your tablet for reading books and playing solitaire, not for work. If you have to use a work device, be disciplined about it. It should only be for a pressing, unavoidable issue. Let non-urgent business messages go to voice mail, and don't let yourself get sucked into emails by reading them first thing in the morning. 3. Start each day of vacation framing a positive day. Allow your heart and mind to open wide to the freshness and freedom a vacation engenders. Make it a practice to quiet any obsession you might have with electronic devices. Look up from the device and take in the world around you. Remind yourself that your smartphone isn't the place where your vacation is happening. 4. Be present, right here, right now. Let go of worries and stressors whenever they raise their stress-provoking heads. Stop and marvel at the sea and sky. Commit to tuning in to the loved one(s) who are with you. Take the opportunity to discover them all over again by appreciating them. Give these simple approaches half a chance and I guarantee that your vacation will be memorable and you'll return to work with a fresh vision and the brain power to manifest your vision.